Kitchen remodels can take on may shapes and budgets, but there’s only one choice for who your source should be. Partner with ProSource® of Canton to take advantage of our wide selection of products and kitchen design expertise. You will also find wholesale prices, which means you’ll save more when you choose ProSource for all your kitchen remodel needs. The look and feel of every kitchen is highly influenced by the cabinets. If you’re looking for a traditional, contemporary, or modern look, we can help you find the perfect design and style to fit your needs. 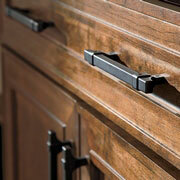 Kitchen cabinets aren’t complete without cabinet hardware. 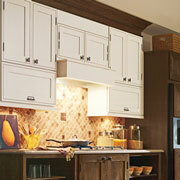 Add personality to cabinets with knobs, handles, pulls, and more. When you visit our showroom, you’ll find the latest trends and traditional styles from the industry’s leaders. Kitchen countertops offer more than a color or design to the space. 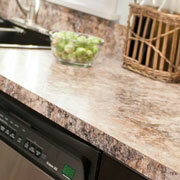 The countertops function as a communal gathering place to cook meals, visit with loved ones, and make tough decisions. Choose from our large variety of colors, styles, and designs to fit any lifestyle’s needs. 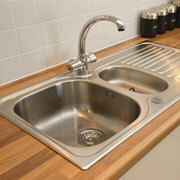 A commonly overlooked yet vital feature in every kitchen, the sink provides more than a place for dishes after use. The sink is the kitchen’s figurative anchor. Whether you need a single or double bowl, and have a material or color preference, the experts at our Canton showroom can help you decide which sink is best for your needs. Do you want a standard faucet? Do you want a faucet with a spray function? 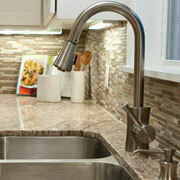 We offer a wide array of styles, designs, colors, and functions when it comes to kitchen faucets. Come by our showroom and make the best decision for your project.